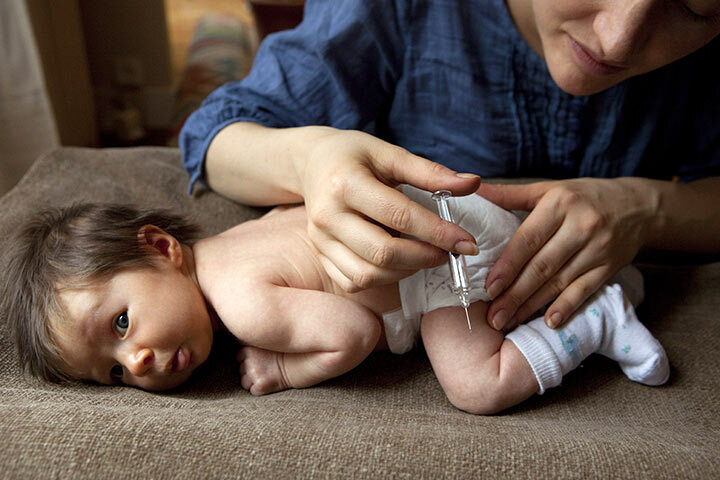 So, you have already had your little one vaccinated. But, does her vaccination routine cover diseases like diphtheria and pertussis? Have you heard of the DTaP vaccine? If these questions left you dumbstruck, let’s change that right now. Read our post and learn all about the DTaP vaccine here because of this A Complete Guide about DTaP Vaccine. DTaP is a common vaccine that helps kids develop immunity to three deadly ailments, diphtheria, tetanus and pertussis all of which are bacterial infections. Having DTaP vaccine at the right age and following an appropriate schedule protects your child from ailments and ensures his good health. Tdap is an immunization booster, which doctors administer after the DTaP vaccine, typically when the child is around eleven. The Tdap helps protect your child from diseases in her adolescence and adulthood (1). If your child is moderately or severely down with any ailment and if you have DTaP vaccination schedule for her, wait until she recovers. Let your child have the vaccine after she recovers from the ailment and weakness so that she can tolerate the side effects if she faces any. Did you give your dear little one DTaP vaccinations? Did she suffer any side effects? How did you treat these side effects post vaccination? Share your experience with the fellow mommies here. Leave a comment below.